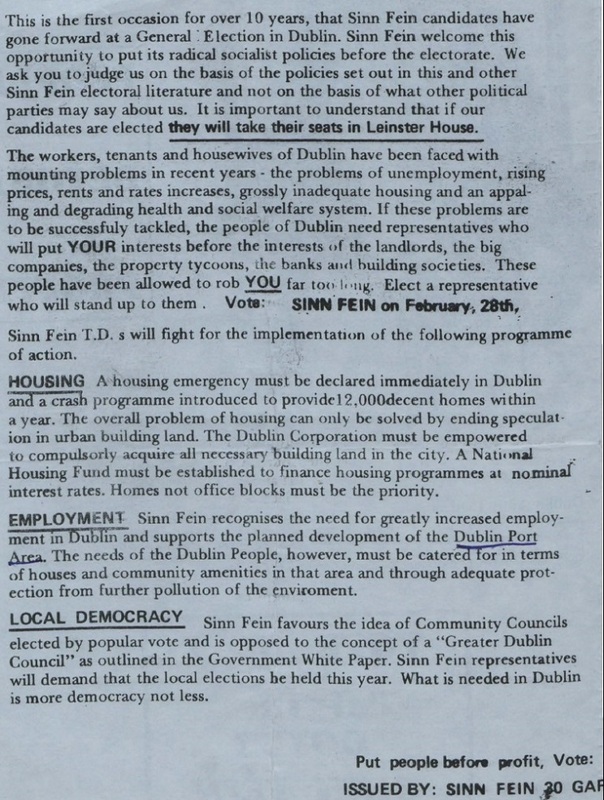 From the 1973 General Election a leaflet from Peigin Doyle who was running for Official Sinn Fein in Dublin South Central. She polled 1521 votes and missed out on a seat. She also stood in the 1974 Local Elections in Pembroke/Rathmines polling 962 votes and also missing out on a seat. I’m told Charlie Bird was her Election Agent. “People before profits” What’s the betting that The Socialist Workers Movement at the time decried the lack of class content in such slogans? Have I missed something? 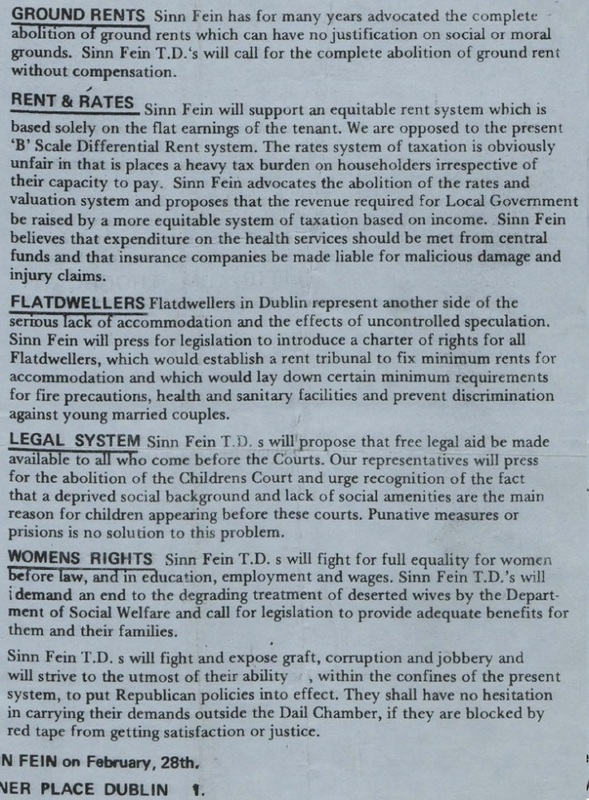 The 1973 general election and not a single reference to the struggle in the North! 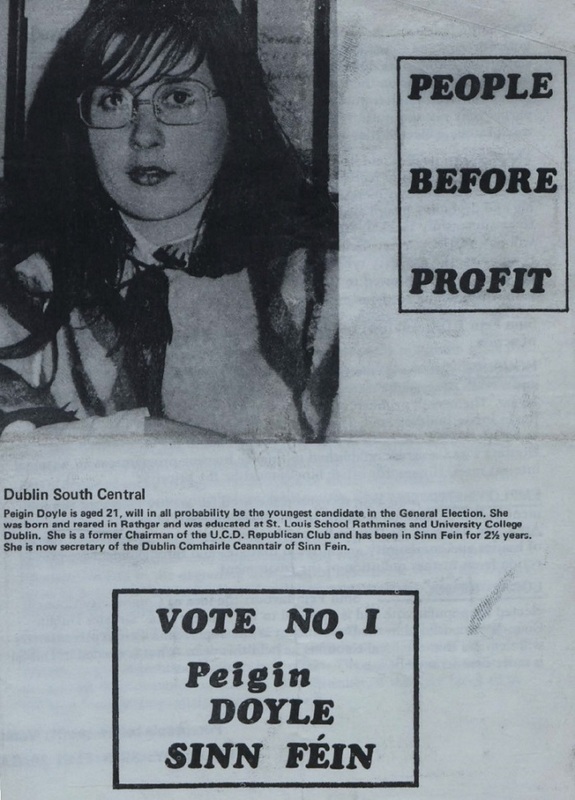 Is Peigín Doyle still a supporter of the Workers Party?